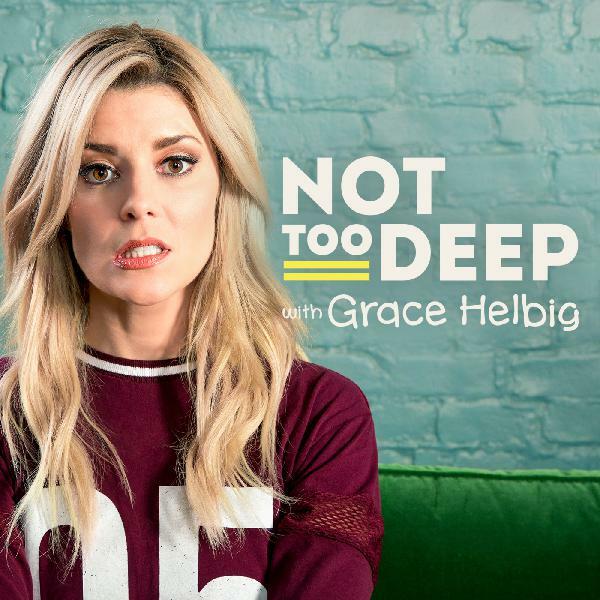 Discover Not Too Deep with Grace Helbig Jimmy Tatro - "Real Bros of Simi Valley" and "American Vandal"
Actor, director, and comedian Jimmy Tatro joins me this week! He’s sharing his process for creating his Facebook Watch Series Real Bros of Simi Valley and the creative freedom he had on American Vandal. He also shares stories about his mom petting Angelina Jolie at the Critics Choice Awards, what it was like meeting some of his heroes, and his dream acting role. - This episode is brought to you by Just Between Us Podcast, OK Cupid Dating App, HUM Nutrition, Leesa, and bareMinerals. Please support them for helping keep this podcast free.